If you're pregnant and exhausted, you're not alone. 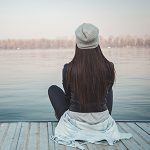 Research shows that 90 percent of women experience pregnancy fatigue, particularly in the first trimester, though it often returns in the third trimester. Some women experience it in all three! While most parents expect they will feel tired once the baby arrives, the intense and persistent fatigue many women experience during pregnancy can come as a surprise. Although it can feel frustrating and, at times, debilitating, pregnancy fatigue is a good sign. It indicates that your body is producing the hormones needed to sustain a new life. Let's learn more about the causes of pregnancy fatigue and natural solutions. Shortly after conception, your body experiences a sharp rise in the hormone progesterone, which causes daytime sleepiness. Your body requires high levels of progesterone to maintain a healthy pregnancy, particularly in the first 10 weeks. After that, the placenta takes over and makes enough progesterone to support your pregnancy — which gives most women their energy back in the second trimester. During pregnancy, your body produces more blood which supports the developing placenta, carrying essential nutrients to your baby. As a result, your heart must pump harder and faster, increasing blood flow to the baby and to your extremities — which can lead to physical fatigue. Your blood pressure is also lower, especially in the first trimester. The high levels of human chorionic gonadotropin (hCG) produced in early pregnancy can cause nausea. Persistent morning sickness can exhaust you and can make it difficult to eat — which further reduces your energy levels. Women who experience more frequent nausea and morning sickness generally have higher levels of fatigue. Anemia from reduced iron levels typically occurs in late pregnancy but can develop earlier, particularly if you've had previous pregnancies. Carrying around extra weight can wear you out. Extra baby weight commonly occurs in mid to late pregnancy, as your baby grows. You can battle your pregnancy fatigue in simple, healthy ways. These ideas will give you the energy you need to feel better and get through the day. Though it may feel like an impossible feat when you're feeling fatigued, a daily exercise routine can boost your energy levels. Maintaining a consistent and healthy exercise routine throughout your pregnancy can help prevent some of the typical aches and pains of pregnancy, including backaches, varicose veins, and constipation. 30–minutes of exercise per day is all you need to combat fatigue! Exercise not only improves your mood as it releases endorphins, but it also promotes better sleep. Aim to exercise for 30 minutes per day, but modify this recommendation based on your fitness level and doctor's recommendations. If you're feeling too tired, even a short walk or some prenatal yoga can be rejuvenating. Good sleep hygiene is important during all stages of pregnancy. You are creating a new life, and your body will need more rest to accommodate the hormonal and physical changes you are experiencing. During the first trimester, in particular, most women tend to need more sleep than usual. Aim for 8 to 9 hours of sleep each night, but listen to your body. You might need more sleep time! Do your best to go to bed early enough so that you get eight to nine hours of sleep each night. Take advantage of any downtime you can to nap whenever needed; even 15 to 20-minute naps can rejuvenate you enough to get through the rest of the day. There are several natural remedies to help if you have trouble sleeping. When you are pregnant, your body needs more water than usual to support you and your growing baby. Dehydration can worsen fatigue, light-headedness, and nausea. Did you know pregnant women should drink an extra 10 ounces on top of their regular daily water consumption? Generally, experts recommend that pregnant women drink an extra 300 ml of water every day — on top of their existing daily water consumption (we recommend drinking half your normal body weight in ounces daily). Try to drink about 10 glasses each day to stay hydrated. Eating a healthy diet is more important than ever when you're pregnant, as your body requires more calories and also needs additional calcium, iron, and other essential vitamins and minerals. The foods you eat provide the main source of nutrients for you as well as your baby. Eat a rainbow of healthy fruits, vegetables, nuts, seeds, and legumes for maximum nutrition. A daily dose of nutrient-rich fruits and veggies can help ease morning sickness! If you experience morning sickness, eat small, nutrient-dense snacks such as fruits, vegetables, and legumes throughout the day. This will prevent your blood sugar level from dipping too low while boosting your energy levels. Iron deficiency during pregnancy can make you feel tired and exhausted and even lead to anemia. Generally, pregnant women need 20 to 30 mg of iron per day; you may find it difficult to get this from your diet alone. If you have low iron levels, take a natural, plant-based iron supplement. Your body absorbs plant-based iron more slowly, which helps maintain normal iron balance, leading to fewer health concerns. While you might think caffeine will help your fatigue, most people experience more balanced energy levels when they do not regularly consume caffeine or coffee. Although the American College of Obstetricians and Gynecologists found that moderate caffeine consumption is safe during pregnancy (approximately 1 ½ cups of coffee per day), some people like to cut it out entirely. If you do partake, limit your consumption, particularly later in the day. The stimulant effects of caffeine can hurt your sleep quality and keep your body wired, even if you are feeling sleepy. 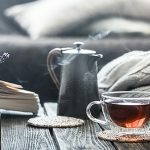 If you are looking to ditch your morning cup of coffee altogether, check out our coffee alternatives article. Pregnancy is hard work! Your body requires more water and nutrients, produces more blood, and your heart rate increases, all to nurture the life within you. On top of that, hormones surge through your body, which may make you feel anxiety or heighten your emotions. Daily reminder: Take it easy when you can and find time to relax. Pregnancy can take a toll on you! The bottom line? If you're exhausted, listen to your body and rest. Keep your demands on yourself low and your expectations realistic; when pregnant, you can't always take on all the responsibilities you ordinarily do. Know this is perfectly OK, and relax whenever possible. Ask for help when you need it. If you are working in or outside the home, or if you have children already, the demands can sometimes feel like too much. Pushing yourself too hard is a sure-fire way to find yourself even more exhausted. Daily reminder: Never hesitate to ask for help. Know that it's OK to ask for help — call upon family members and friends and ask them to pick up groceries or take your kids on an outing. Ask your partner to do more than their share to help lighten your load. Be honest about how you are feeling and be clear with others when you need rest. If the above tips have not helped you to increase your energy levels or if you are suffering from extreme fatigue, contact your healthcare provider for advice. They may wish to check your iron levels to determine whether you are suffering from iron-deficiency anemia which is common during pregnancy, or another medical condition that causes fatigue, such as hypothyroidism or chronic fatigue syndrome. Your healthcare provider will certainly ask you to take a high-quality multivitamin to ensure you get adequate levels of all the basic vitamins and minerals needed for you as well as your growing baby. Will Fatigue Last the Entire Pregnancy? For most people, the short answer is no. While exceptions exist for every rule, pregnancy fatigue usually occurs during the first trimester. Fortunately, most women notice a boost in their energy levels once they enter the second trimester. This typically lasts into the third trimester. Many women do start to feel tired again in the final two months of pregnancy. By the end of your pregnancy, your growing belly and increase in weight can strain your body physically, which brings back the fatigue as well as physical tiredness. Insomnia can also occur during pregnancy, particularly in the final weeks when your big belly can make it hard to get comfortable — not to mention frequent urination may make you wake more often. Can Fatigue Affect the Baby? Although you may be exhausted, your tiredness does not affect your baby's health. 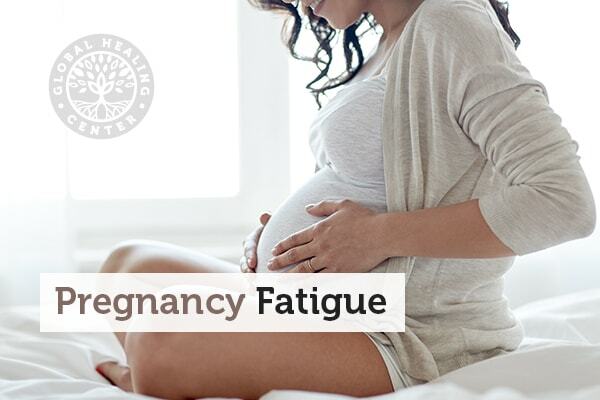 No matter how tired you feel during your pregnancy, your fatigue won't harm or affect your baby. While your exhaustion will not affect your baby, do remember that during pregnancy, your body must work harder than usual and needs more rest to sustain a healthy pregnancy. Rest when you can and make sleep a priority — aim for at least eight hours of sleep each night. Pregnancy fatigue is a common experience for women; in fact, one study found 90 percent of pregnant women felt fatigue during their first trimester. While you won't find a magic solution to make you feel as sprightly as you did pre-pregnancy, you can take actions to feel more energized. Some helpful suggestions for reducing fatigue include resting, eating healthfully, exercising, and getting enough sleep each night. Grab short naps when possible. Take on fewer responsibilities at work and home and ask for help when you can. Keep a good supply of nutritious snacks on hand — fruits, vegetables, and healthy carbohydrates can give you a much-needed energy boost. Pregnancy can feel magical as you prepare to meet your new baby, but it comes with its challenges. Be gentle with yourself, set realistic expectations, and accept that you need extra rest while there is a growing life inside of you. With these and other simple ideas, you may get more energy during these exciting but challenging few months! For more, check out our article, Why Am I Always Tired? What worked for you during your pregnancy to relieve fatigue? Share your comments below! Reeves N, et al. Fatigue in early pregnancy. An exploratory study. J Nurse Midwifery. 1991 Sep-Oct;36(5):303–309. Won CHJ. Sleeping for two: the great paradox of sleep in pregnancy. J Clin Sleep Med. 2015 Jun 15;11(6):593–594. Burton GJ, Jauniaux E. Development of the human placenta and fetal heart: synergic or independent? Front Physiol. 2018;9:373. Hytten F. Blood volume changes in normal pregnancy. Clin Haematol. 1985 Oct;14(3):601–612. Lee NM, Saha S. Nausea and vomiting of pregnancy. Gastroenterol Clin North Am. 2011 Jun;40(2):309–334. McMahon LP. Iron deficiency in pregnancy. Obstet Med. 2010 Mar; 3(1):17–24. Varrassi G, et al. Effects of physical activity on maternal plasma beta-endorphin levels and perception of labor pain. Am J Obstet Gynecol. 1989 Mar;160(3):707–712. Reichner CA. Insomnia and sleep deficiency in pregnancy. Obstet Med. 2015 Dec; 8(4):168–171. Montgomery KS. Nutrition column an update on water needs during pregnancy and beyond. J Perinat Educ. 2002 Summer;11(3):40–42. Marangoni F, et al. Maternal diet and nutrient requirements in pregnancy and breastfeeding. An Italian consensus document. Nutrients. 2016 Oct;8(10):629. Nutrition During Pregnancy Frequently Asked Question. American College of Obstetricians and Gynecologists. Feb 2018. Accessed 2 Dec 2018. Buckwalter JG, et al. Pregnancy and postpartum: changes in cognition and mood. Prog Brain Res. 2001;133:303–319. Mindell JA, et al. Sleep patterns and sleep disturbances across pregnancy. Sleep Med. 2015 Apr;16(4):483–488.